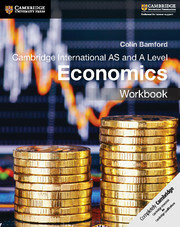 This workbook provides support for students studying the Cambridge AS and A Level Economics (9708) syllabus, for first teaching in 2014. 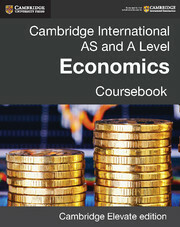 Along with our coursebook, this resource delivers valuable practise using the key skills of the course. Giving step-by-step guidance, layered questions make it clear how students should use application, analysis and evaluation in an economic context. In addition, sample answers build learners’ confidence writing long-form responses. Answers to questions in the workbook are available online. Practice questions improve confidence in responding to multiple choice questions and writing long-form answers using economic terminology. 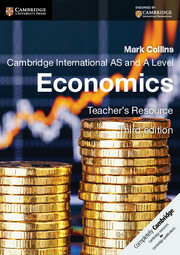 The ‘Think like an Economist’ feature helps students apply economic understanding in a wider context. 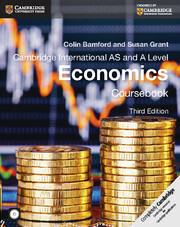 The introductory chapter defines the key skills and explains their importance for economic understanding. Answers to the questions in the workbook are available online.